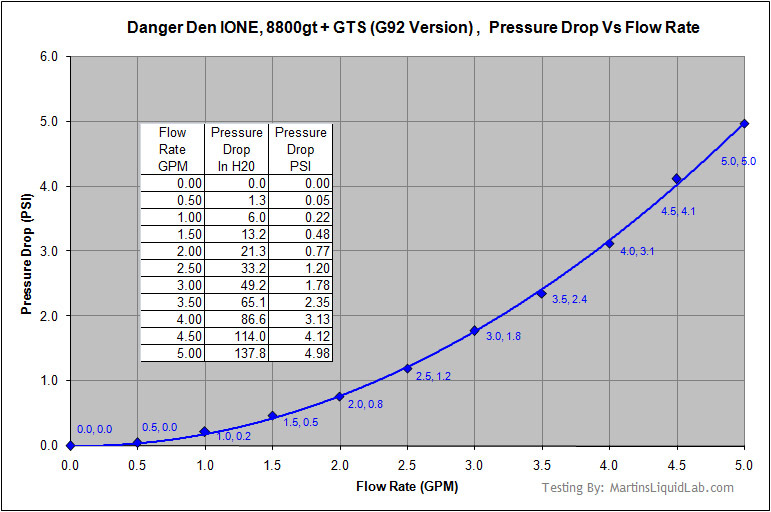 Welcome to my pressure drop testing of the Danger Den IONE full coverage waterblock for the 8800GT or 8800GTS (G92) video card. 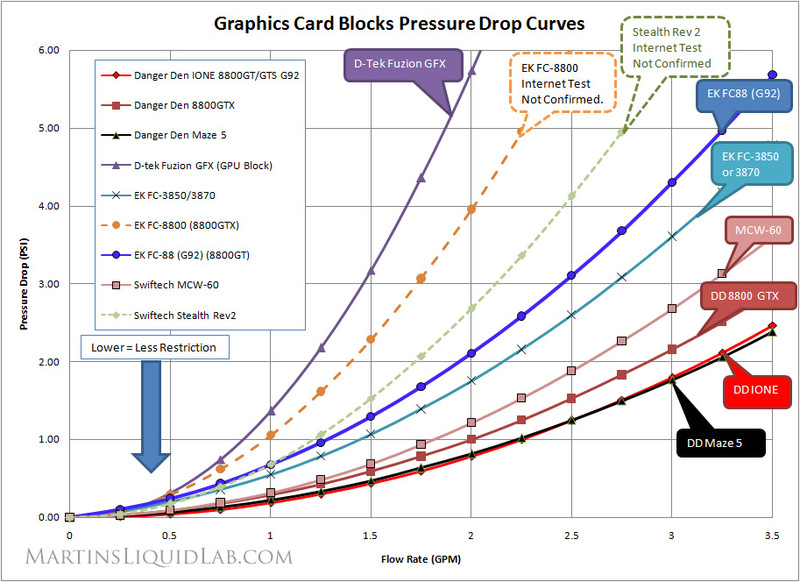 This page will focus on the pressure drop and flow characteristics only for this waterblock only. The block is a finely CNC machined block of solid copper, no add on aluminum pieces, just pure copper, a nice complete gasket and acrylic top with goo round head stainless fittings. The Danger Den IONE is in a tie with the Maze 5 for being the lowest pressure drop graphics card waterblocks I have tested to date. 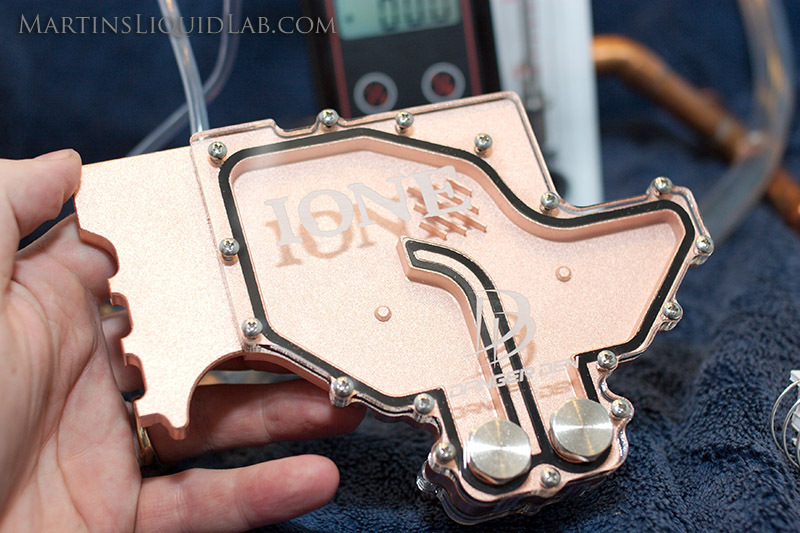 This will be a fantastic waterblock for users with multiple waterblocks connected together in the same watercooling loop. The low restriction will translate into high flow rates for other critical components in multiple block loops like the CPU, Chipsets, or additional video cards. Tied with the Maze 5 as the new KING OF FLOW for video cards!